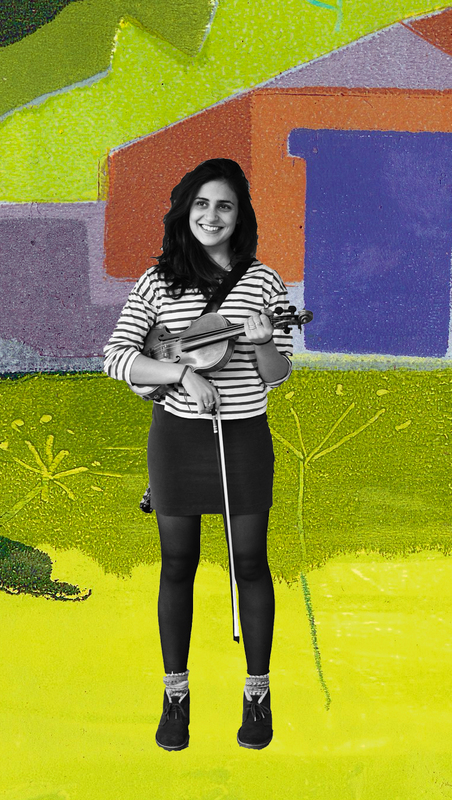 Having made her solo debut at the Royal Festival Hall at the age of three, Maya has been playing the violin for as long as she can remember. Although an accomplished soloist, she has always enjoyed first and foremost making music with others. She has performed in chamber ensembles at a number of venues including the Wigmore Hall, St John Smith’s Square and the Queen Elizabeth Hall, and during her time at Cambridge was a member (alongside Marianne) of the Cambridge University Chamber Orchestra as well as taking part in workshops with the Britten Sinfonia. It is this love of communal music making that led Maya to the folk tradition in her early teens and later on to taking up the mandolin. Maya formed The Coach House Company with her fellow music undergraduates in late 2010 and has been enjoying their musical journey ever since!